Wow! 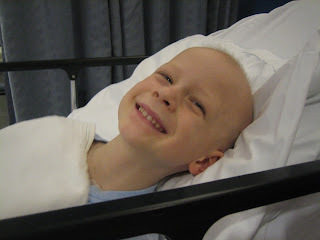 Max's tenth round of chemo started this week. Hard to believe we have a five year old who's had ten rounds of strong chemo in only eight months and there's no end in sight. Yes, his cancer is stable... but how do we keep it there (or better) and not ruin his body with toxicity? We've had some goods talks and emails with Max's oncologist regarding the toxicity question and what we can do next. Andy brought up a good point about current therapies subjecting NB kids to really high dose chemo, hot antibodies, radioactive treatments (to name a few) and how none of it seems works in the long run (no remission). Sure it knocks the cancer for a loop for a little while - but it knocks the kids for a loop too. Can their little bodies recover faster than the cancer? Currently, we're trying to keep the monster at bay without weakening Max. After this course of chemo we're going to add a low-dose oral chemo that Max would take everyday or every other day between IV chemos. This may require his IV doses to be lowered in order to keep his blood counts from dropping too much. The only way to tell is by doing it. The only way to see if it will help is by doing it. On a lighter note: Max is having playdates with his friends at the clinic this week! Why didn't I ever think of this? (Thanks, Andy.) We packed up the PS2 (playstation2) and took it along. I was able to schedule a friend a day Tuesday - Friday to come and play with Max. He's been so excited to see his school friends! Of course, I didn't bring the d%#* camera! 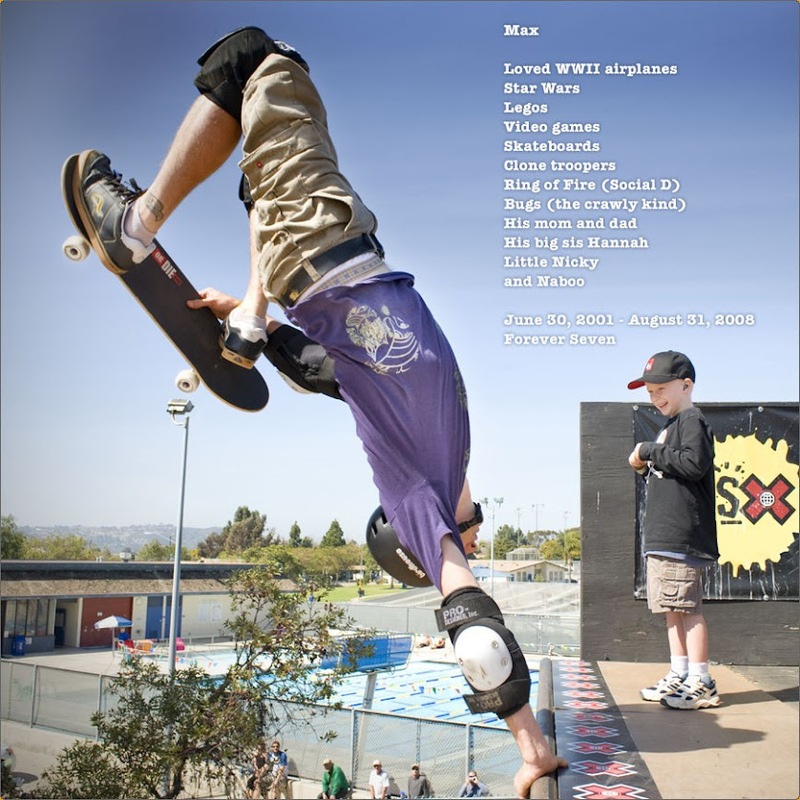 I'll remember tomorrow - check Max's Kid site this weekend for photos. Max is feeling great this week, is happy about his friends stopping by to play, and it totally shows in his mood. He has been so open and animated with everyone in clinic this week. Talking to the nurses, showing everyone his newest lego toy, and waving and saying goodbye to all the other kids and the nurses as he leaves each day. What a great spirit. Max I am a friend of your aunt Randee and uncle Mike. I just wanted to say i love to see that big smile cause it makes me smile. Hang in there and God Bless.I hope to meet you one day. I'm always amazed when I check Max's blog how often he has that big wonderful smile on his face. We Jenkins are rooting for him and all of you.